Manchester City forward Raheem Sterling mocked Juventus defender Leonardo Bonucci's response to teammate Moise Kean's racial abuse from Cagliari fans on Tuesday during a 2-0 win. 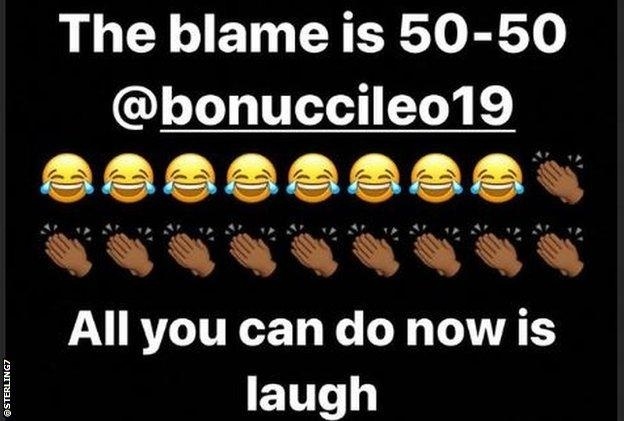 After the 19-year-old Italian international was subjected to racial slurs following his goal celebration, Bonucci said that Kean shared the blame for them. "Kean knows that when he scores a goal, he has to focus on celebrating with his teammates," Bonucci, who also scored, told Sky Italia following the match. "He knows he could've done something differently, too. There were racist jeers after the goal. [Teammate] Blaise [Matuidi, who was also racially abused by the fans] heard it and was angered. I think the blame is 50-50, because Moise shouldn't have done that and [the fans] should not have reacted that way. We are professionals. We have to set the example and not provoke anyone." Sterling, who was the subject of racial abuse from Montenegro fans during international duty last week, responded to Bonucci's remarks on his Instagram story. “All you can do now is laugh," Sterling wrote. Cagliari's president also attempted to defend the actions of his club's fans, insisting they would have reacted to any player celebrating a goal in the manner that Kean did, regardless of race. 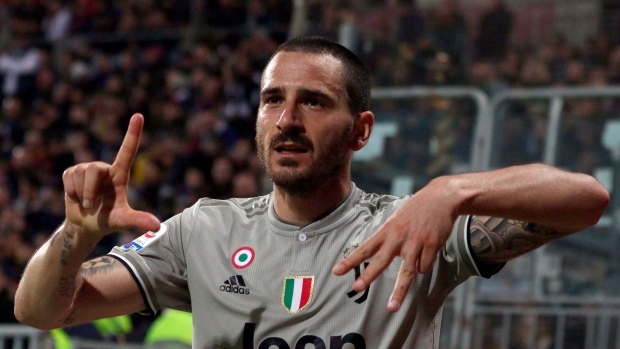 On Wednesday, Bonucci did not apologize for his remarks, but came out against racism. 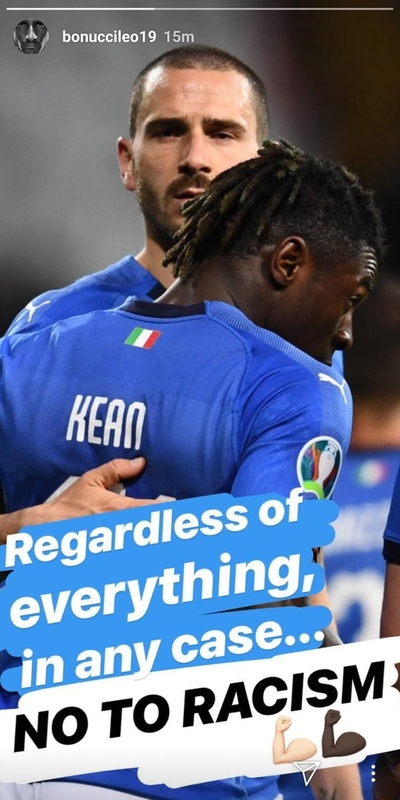 Posting a picture of himself with Kean on his Instagram story, Bonucci wrote, "Regardless of everything in any case...no to racism." Serie A has yet to comment on the incident. In December, Inter received a two-game stadium ban when its fans racially abused Napoli defender Kalidou Koulibali at the San Siro.